BANG's unique live-bait rendering process produces the natural concentrated oils of the most prevalent forage species. It gives the angler an edge by encouraging fish to hold on longer giving more time to set the hook. The trigger spray bottle is guaranteed to give your more BANG for your buck. 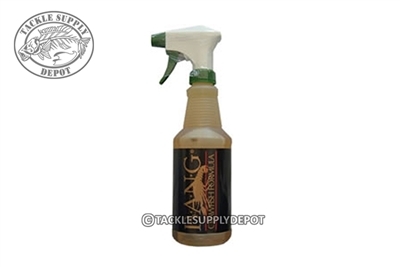 Put the smell on your baits and not your hands with the BANG Trigger Spray Bottle. Good product at a good price and fast delivery.